Ratings agency Moody’s kept the outlook on Cambodia’s government debt at stable, though the firm said that the risk of default was still high and raised concerns over the country’s ability to manage its finances. 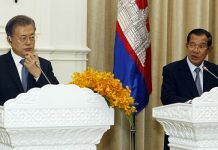 In a report released on Sunday, Moody’s said that Cambodia’s credit rating remained unchanged at B2, a level that designates a country able to meet its financial commitments though open to risk in the case of adverse business, financial or economic conditions. Moody’s also confirmed that Cambodia’s debt levels—as of the end of 2010—stood at 44.3 percent of gross domestic product, or $5.2 billion. That amount stands in contrast to debt figures that have been cited recently by Prime Minister Hun Sen and other senior officials from within the ruling CPP, which range from between $2 billion and $7 billion. 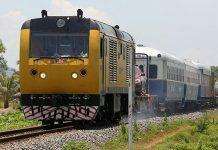 As Cambodia looks to boost economic growth and develop key sectors, especially infrastructure, it has been steadily increasing borrowing from foreign countries. Overseas loans represent more than 40 percent, or $1.1 billion, of next year’s national budget, a 75 percent increase over the amount of loans in this year’s budget. While economists and government officials say the country’s debt burden is still manageable, nongovernment organizations and members of the opposition party have expressed fears over the amount of debt the government has taken on board, and have also asked for more transparency on interest levels of the debt. Mr de Guzman said that Moody’s assessment of Cambodia’s government debt was based on previously released data and that there could be more recent figures that the government has not yet shared. That could mean that the actual level of government debt is higher than the Moody’s estimate of $5.2 billion. It also said that low national savings and a weak tax system meant that debt levels in the country remained relatively high when compared to its ability to generate new revenues. Moreover, Moody’s said that rapid credit growth in the banking system could also increase risks to the economy if not managed well. “Risks to the outlook include the long-term competitiveness of the garment industry and a relapse of the global economy back into recession, which could harm the tourism industry,” the report said, adding that mismanagement of revenues from oil and gas reserves – expected next year – would likely result in the credit rating being downgraded even further. Ngoun Sokha, director general of the National Bank of Cambodia, said that Moody’s analysts are scheduled to arrive in Cambodia next year to carry out further assessments, and that Cambodia’s debt risk profile was stable. She said that the majority of Cambodia’s debt was borrowed on a long-term and concessional basis and that this meant risk levels attached to government debt are still low. 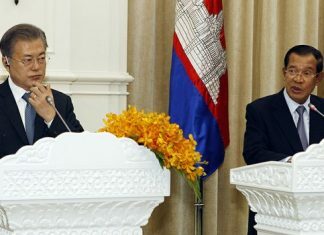 Unlike countries in the EU grappling with debt crises, Cambodia has no plans to issue government bonds as a means of raising more money, Ms Sokha said. “The government’s policy is to manage the budget, strengthen management capacity and diversify the economy based on existing means. That is why issuing national securities is not a priority,” she said.